Japanese Knotweed. What is it? - Four Seasons Grounds Management Ltd.
Japanese Knotweed. What is it? 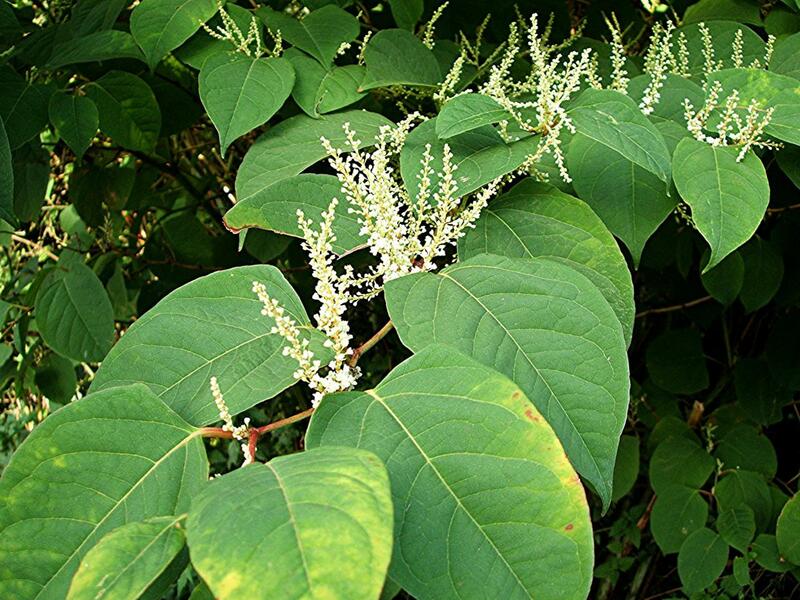 While quite an attractive plant, Japanese knotweed (Fallopia japonica) is one plant you’ll never wish to see in your garden. Its lush green foliage and bamboo-like stems shoot up overnight, and against fences and buildings, it can rise to over 7ft tall. However, left to its own deceives, Japanese Knotweed can cause serious structural damage to homes and properties in a matter of months. This is why, if you hear of cases of Japanese knotweed in your area, it is imperative that you go around your property to make sure there is none beginning to take root or spread. If you are unsure what you are looking for exactly, call us today for a free telephone consultation at Four Seasons Grounds Management LTD. However, although the plant can transmit from garden to garden by seed and stem, knotweed travels most often via a rhizome root structure. This means that, in early spring, you’ll need to look out for fleshy red tinged shoots breaking through the soil, which grow quickly, up to 20 cms a day. Once leaves appear, they tend to be heart-shaped or spade-shaped and light to dark green. The single leaves form at the end of a thin stem, which grows off the main bamboo-like stalks. And as the plant matures, these bamboo stems become woody and hollow. By early summer, the leaves it produces will also be larger and you’ll be able to see a zig-zag pattern in the leaf arrangement. By the end of summer, a large, clumping knot of bamboo and green leaves on spindly stems signifies a looming Japanese knotweed problem. While it is not illegal to have Japanese knotweed in your garden, there are ordinances that must be observed. A recent amendment to the Anti-Social Behaviour, Crime and Policing Act of 2014 states that the property owner must take reasonable steps to control and optimally, eradicate the plant. The amendment also states that homeowners can carry out this removal personally, however, a specialist company is still needed to dispose of the plant waste. Generally speaking, there are two approaches a contractor can take with Japanese knotweed removal: chemical or cultural. The cultural control refers to the method of digging out the rhizomes and their removal to a specialist waste site. The chemical approach requires the use of pesticides over three or four summer seasons. Both approaches have their advantages and disadvantages. The cultural method is labour intensive, and one must be meticulous about collecting and disposing of the waste. The root system can be three feet deep or more and the digging may need to be repeated. However, environmentally speaking, this is the better method. The chemical approach requires the use of Glyphosate, a very strong pesticide which needs to be carefully applied when the weather and temperatures are optimal, however, but once the plant is dead and has dried out, the waste can be burned on site. If Japanese knotweed on your property becomes an issue, there are contractors like us who are licensed to destroy and remove the plant. Four Seasons Grounds Management LTD can guarantee the treatment. Call Nathan at Four Seasons Grounds Management LTD today for a Free telephone consultation! https://fourseasons-maintenance.co.uk/wp-content/uploads/2018/04/Logo_new-web.jpg 0 0 FourSeasons https://fourseasons-maintenance.co.uk/wp-content/uploads/2018/04/Logo_new-web.jpg FourSeasons2017-11-06 19:59:042017-11-07 08:14:43Japanese Knotweed. What is it?